Resources for Catholic school educators, leaders and governors. Faith Alive (for Teachers) – Faith Alive is the web home of the key resource developed to support the teaching of the Primary School Religious Education curriculum in Catholic Schools in Aotearoa New Zealand. Faith Alive (For Parents and Caregivers) – Download of the Family/Whanau book in support of the religious education programme for Catholic primary schools in Aotearoa New Zealand. School staff can contact the Diocesan RE Advisor – Primary for access to resources for use in the classroom. Faith Central (For Teachers and Students) – The FaithCentral website is maintained by the National Centre of Religious Studies (NCRS). The main users of this site are students and staff of Catholic Secondary Schools and Colleges of Aotearoa New Zealand. School staff can contact the Diocesan RE Advisor – Secondary for access to resources for use in the classroom. Property Management – A document that answers frequently asked questions. Insurance – Information on insurance claims and contacts. Proprietor’s Appointees Annual Report for year ending Dec 2018 – click to download the report. Special Character Statutory Requirements – click to download the Catholic Special Character compliances required of Boards of Trustees of integrated schools (to be completed annually and sent to the Proprietor). Meeting and Professional Development Calendar 2019 – all of the Education Team’s dates for meetings and professional development within the Diocese, including relevant TCI papers. 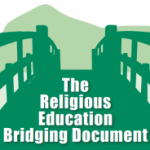 Religious Education Bridging Document (REBD) – a reflective and practical support for teachers in teaching effectively the mandated NZ Religious Education Curriculum. 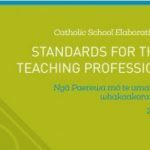 Standards for the Teaching profession: Catholic Elaborations – a framework for personal and professional reflection and support in the growth of the encounter with Christ. 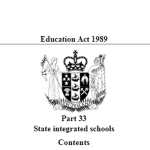 Education Act 1989: Integrated Schools – an excerpt from the updated Act covering Part 33 which relates to integrated schools. 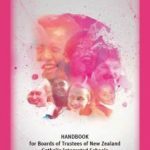 Board of Trustees handbook 2016 (revised 2017) – current guidelines and policies intended to help Boards of Trustees focus on those aspects of a state-integrated school that differ from a standard (non-integrated) state school. 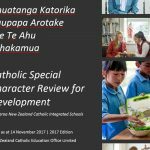 Catholic Special Character Review and Development Document – a handbook describing the expected outcomes from various activities relating to the particular religious values (charism) of each school. More resources at the New Zealand Catholic Education Office website.